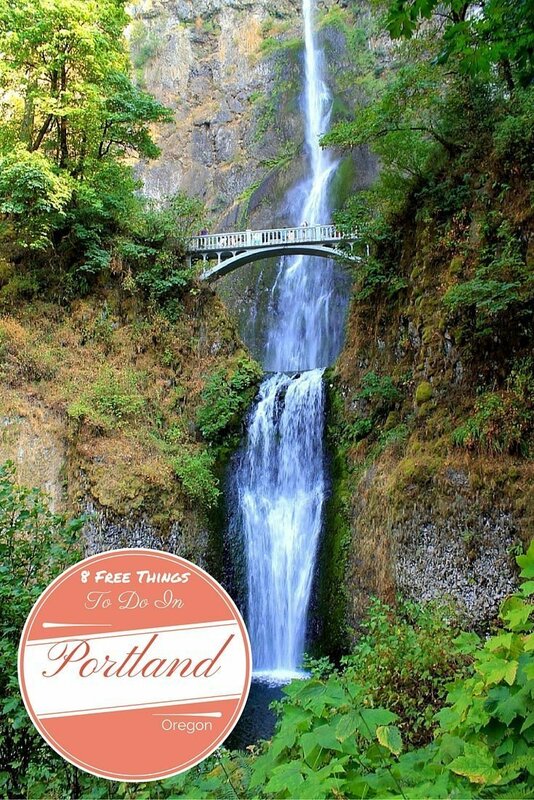 There are plenty of free things to do in Portland, Oregon if you know where to look. Here are 8 ways to stay busy in ‘Stumptown’ without spending any money. Portland is one of those cities where you sometimes need a little help to see what’s what rather than just taking it for what it is on the outside. I’ve lived in Portland for a year and a half, and, to be honest, it wasn’t the easiest nor most welcoming city to move to without an already established friend group. 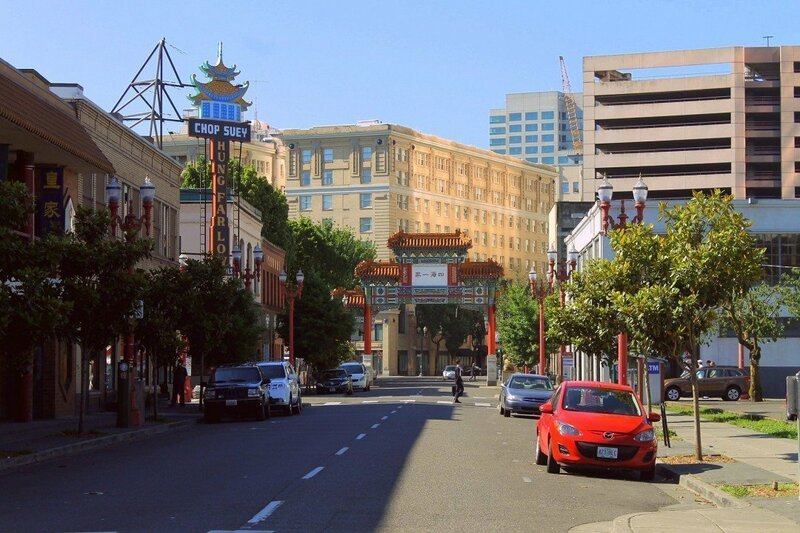 A lot of the best things to go see and do are not immediately apparent when strolling through the city, you have to dig a little deeper to find out where that Portland charm lies. 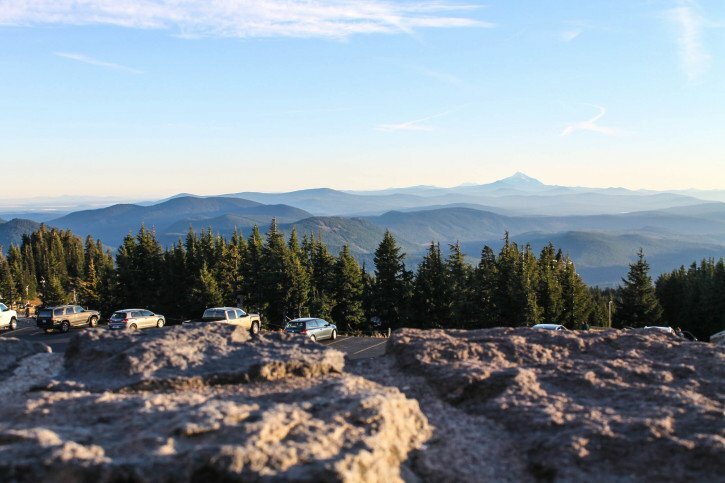 These are my picks for that top free things to do in Portland, Oregon to enjoy the best parts of the city while on a budget. 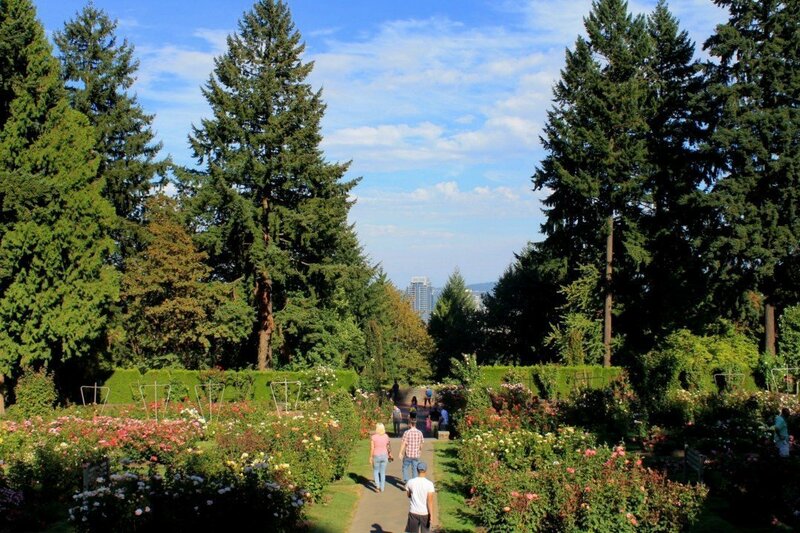 Besides being one of the best smelling places in Portland, the International Rose Test Garden is actually the oldest rose testing program in America, winning the first Gold Medal rose award in 1919. 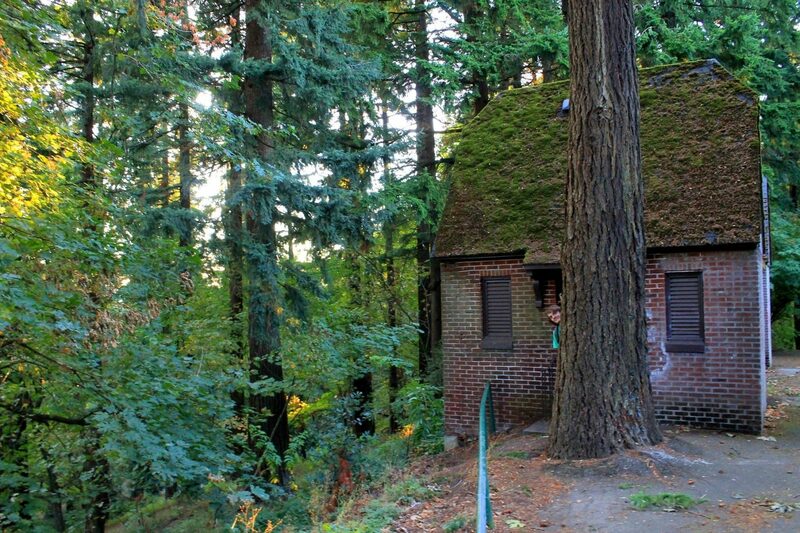 It’s also one of the best things to do in Portland for free. It’s an expansive garden that’s multi-level and provides scenic views over the city skyline. You can find roses in just about every color here. In addition to stopping to smell the roses, it’s the perfect place to relax in a colorful setting. The Portland Saturday Market is open from March until the end of December, so as long as you’re not in Portland for those few months of winter when it shuts down, you can enjoy this fun and chaotic market near the water. The Saturday market in Portland has become an institution in the city since its beginnings in 1973. 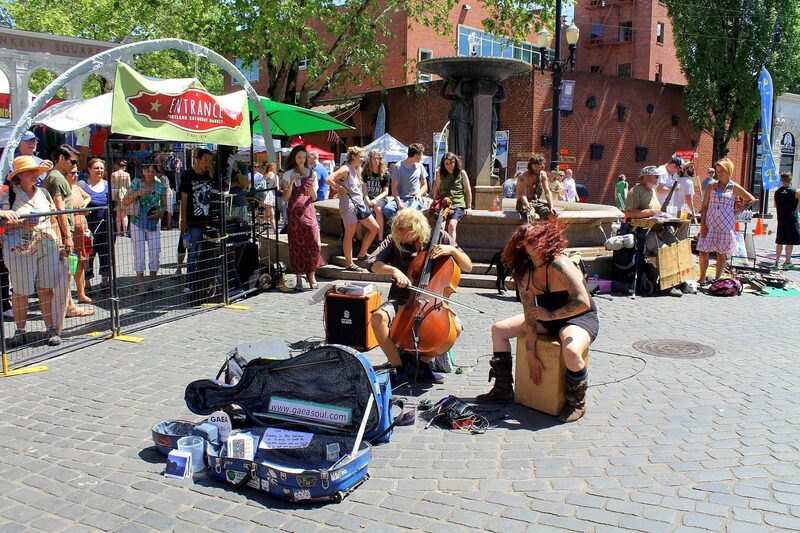 It’s truly a must visit when you’re looking for unique things to do in Portland for free, if even just for the hippie street musician performances alone. And just as a side note, regardless of the name, the Portland Saturday Market is actually on BOTH Saturday and Sunday. There are an abundance of vendors selling random knick-knacks, food, jewelry, and many more items that represent Portland’s weirdness. 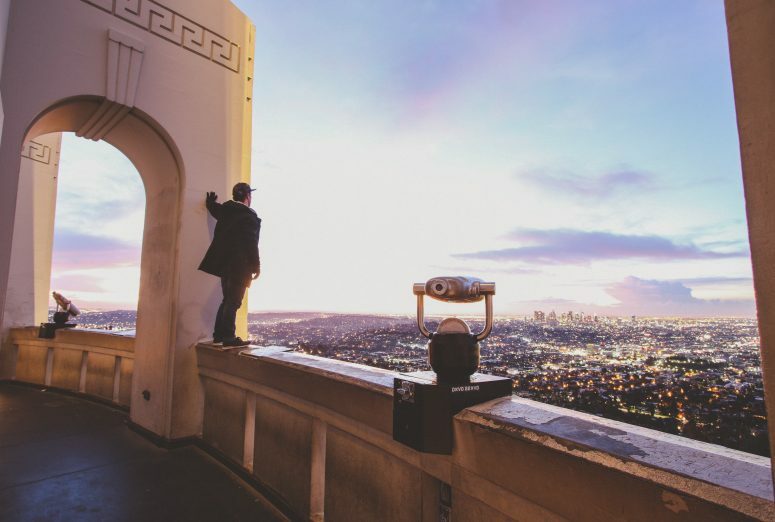 It’s also a great place to people watch and get a good feeling for the weekend activity that locals and tourists alike go to. Being right next to the waterfront, it’s an unbeatable thing to do when it’s a sunny day in Portland. As a note, the Japanese American Historical Plaza is located at the north end of the waterfront park, where the market is located. Walk over to the plaza during cherry blossom season to witness the colorful pink cherry blossoms that line the park. They’re a beauty. The Columbia River Gorge is one of my favorite places in the Pacific Northwest, and only a mere 20 minute drive outside of Portland. 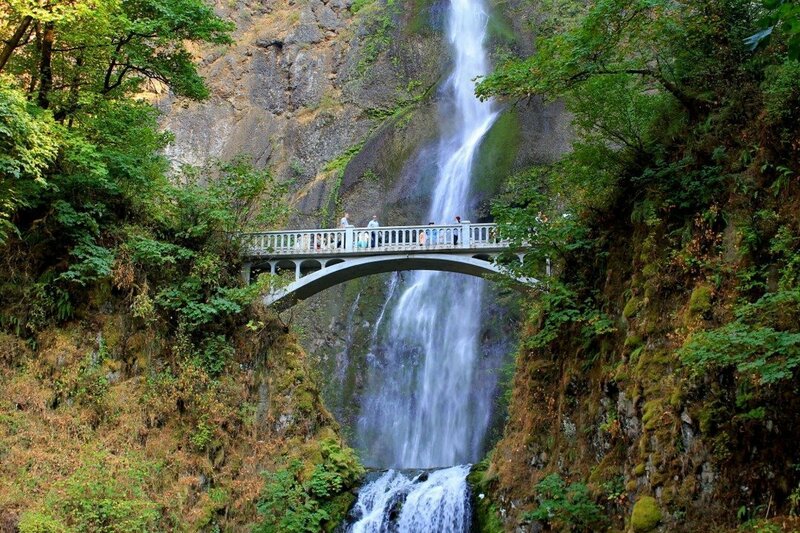 What the gorge is well known for, besides the fact that it was a stop on the Lewis & Clark expedition, is the many waterfalls you’ll find off the Old Columbia Gorge Highway. The granddaddy of those waterfalls near Portland is the popular Multnomah Falls that people from all over the world come to see. 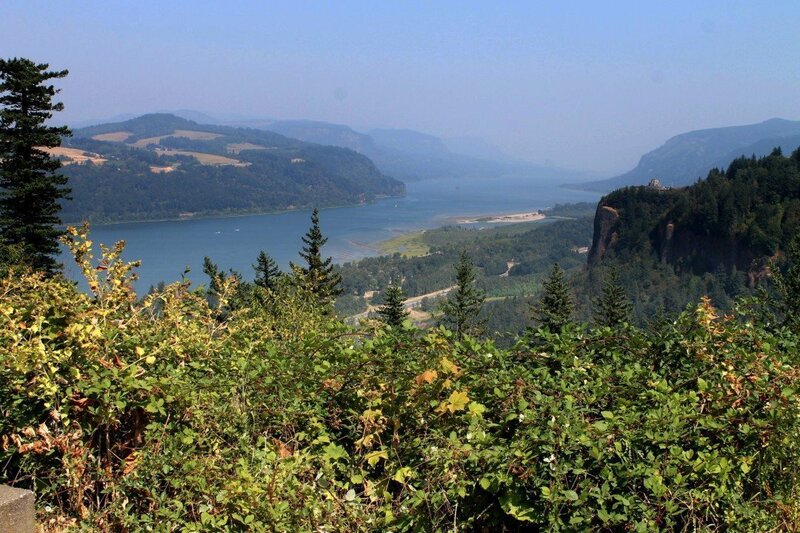 The Columbia Gorge itself is a huge area that encompasses 292,500 acres, and its natural beauty has drawn people to it for over 13,000 years. One of the best ways to explore this popular spot is by driving or biking down the Historic Columbia River Gorge Highway, that winds through grand vistas. Allow yourself time for a few short hikes that lead to numerous elegant waterfalls. Crown Point and the Vista House are both important stops for history and good views at the beginning of your journey. 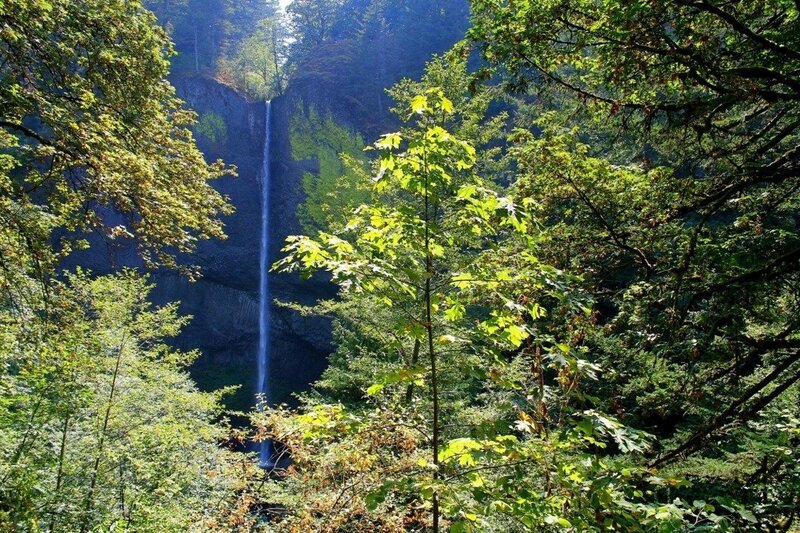 Without a doubt, this area is where you’ll find some of the best hiking near Portland, Oregon. Multnomah Falls is famous for its thrilling and sheer omnipotence. Standing at 611 feet tall (186 meters), it’s one of the highest waterfalls in America and worth going to see at least once. Just keep in mind that it’s basically the Disneyland of the Columbia Gorge because of how many tourists are constantly surrounding it, but if you can get past that, it’s beautiful to experience for yourself as one of the best waterfalls near Portland. The Timberline Lodge has historical roots that go back to President Franklin Roosevelt and the Works Progress Administration during the Great Depression. The picturesque lodge’s construction began in 1936 and has been featured in films, such as The Shining. The lodge, nestled right next to Mt. Hood, is a great jumping off point for seeing more of the mountain and to warm up with a warm beverage while looking out at the snowy wonderland during the winter. I would recommend eating beforehand or bringing a packed lunch as the restaurant and cafe have astronomical prices for food, but walking around the grounds and lobby is absolutely free. When I heard that Portland had a famous bookstore that covered a whole city block, I was ready to get my literary nerd on. In fact, it was one of the first places I stopped in at when I first arrived in Portland. 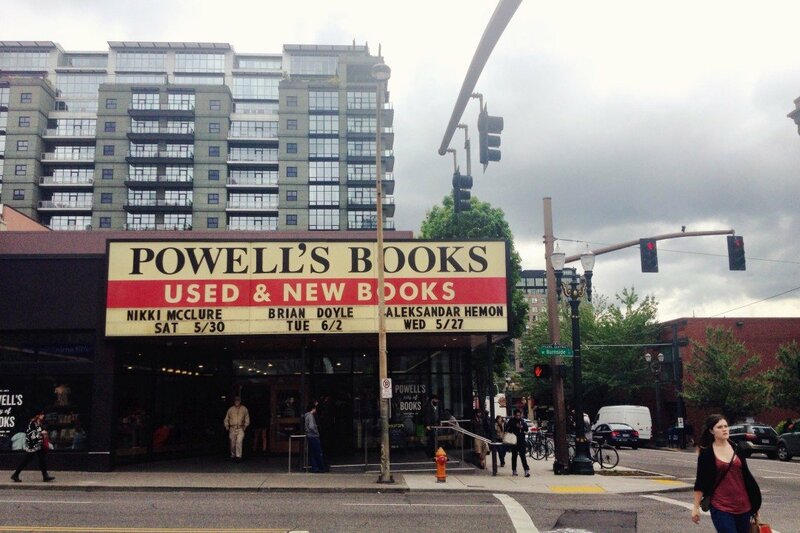 Powell’s City of Books is an amazing place that sells every genre under the sun and both used and new books. This is a great place to find unique and rare books as well as new bestsellers and high school classics. 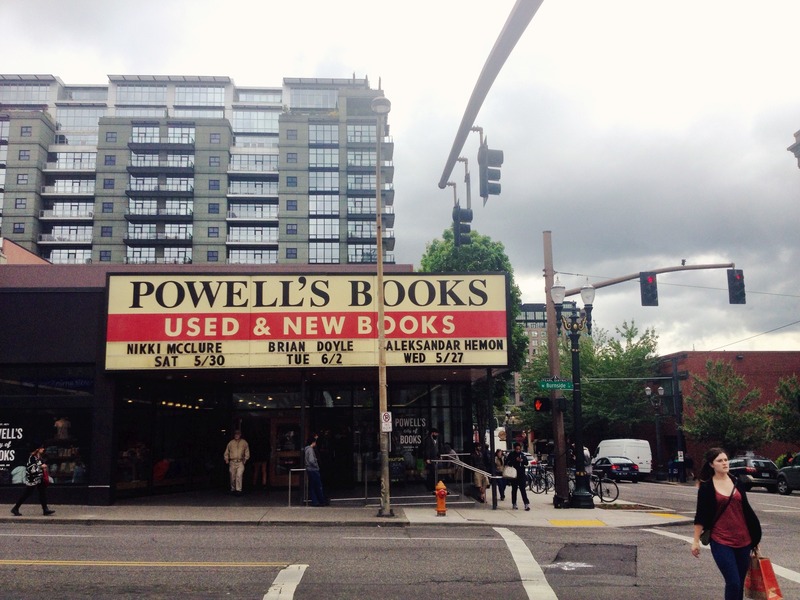 Powell’s has a lot of Portland paraphernalia for sale, so it can be the perfect place to pick up a Portland souvenir as well. 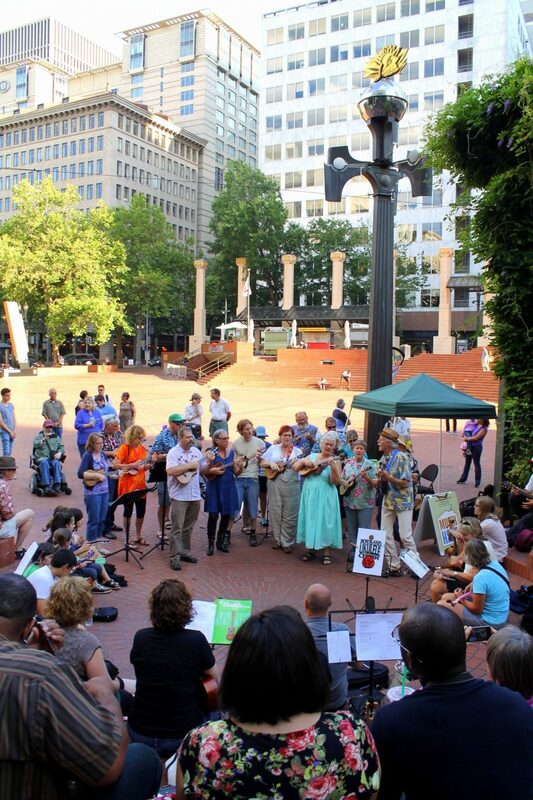 The main square in the middle of downtown, Pioneer Courthouse Square is where you’ll find the Portland Visitor’s Center as well as some great opportunities for people watching. I always recommend going to check out the square at least once while you’re in town because it’s such a hot bed of activity. There are usually street performers, endless events, and even a few food carts that surround the outside of the square. 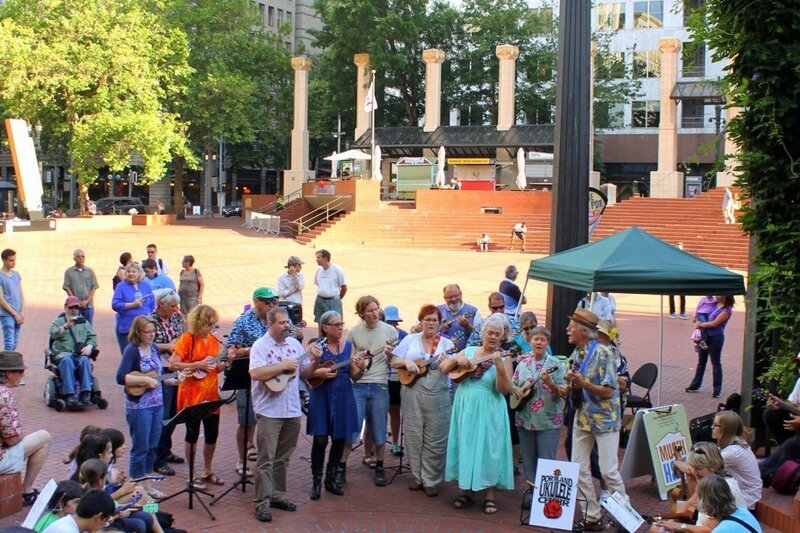 Portland Ukulele Choir in Pioneer Square. 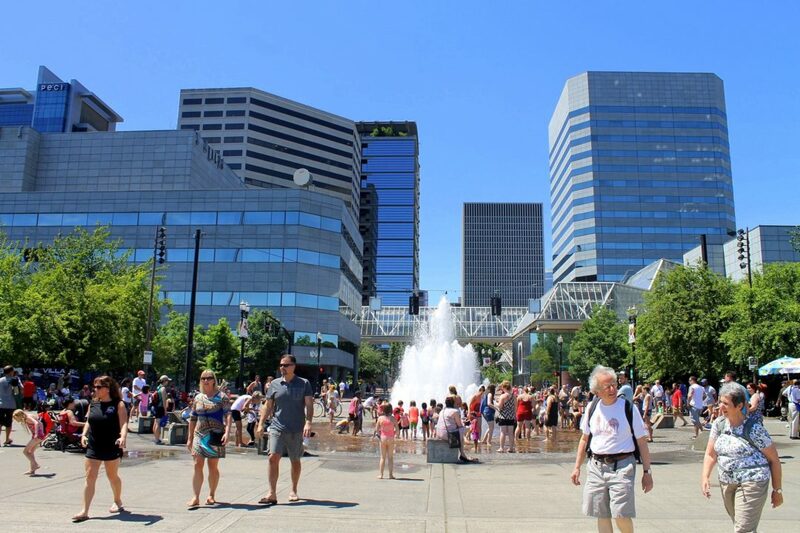 It’s an easy place to meet up with someone in the city, a jumping off point for the many malls and shops in downtown, the perfect place to catch the MAX light rail, or simply a beautiful city square surrounded by old buildings and architecture to appreciate. 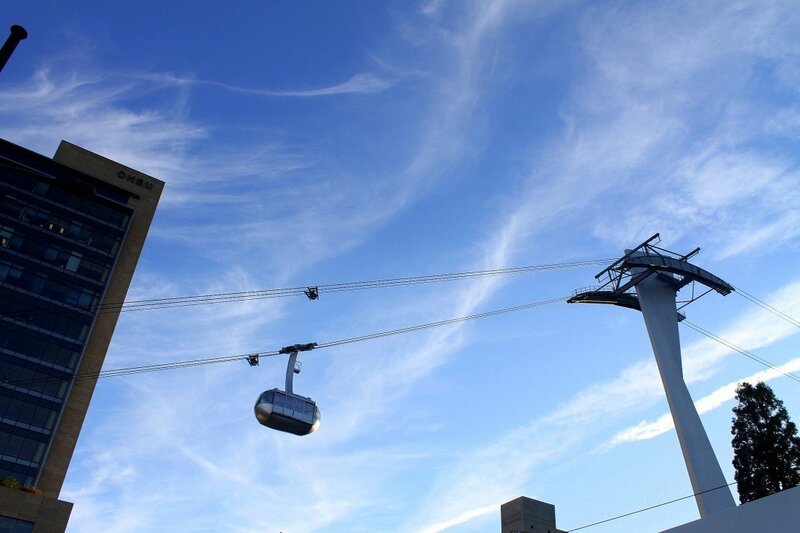 Providing great views over the city, the Portland Aerial Tram is one of those free hidden secrets and unique things to in Portland. 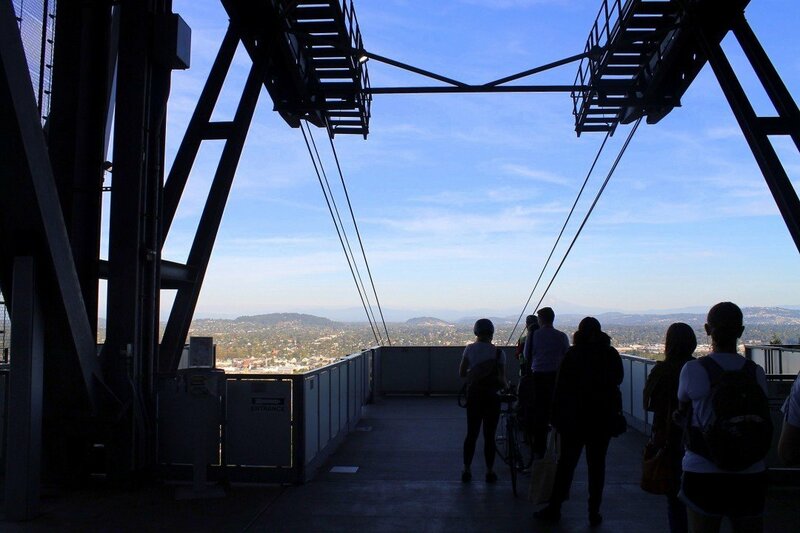 Although it costs money to go up, it’s free to go down from the OHSU Hospital. The tram ride only lasts for a few minutes, but if you’re willing to walk up the big hill to get to the hospital and tram entrance, it’s a free way to get some of the best views of the city down below. Try to avoid rush hour times – 8am & 5pm – because all of the medical staff/students/workers use the tram as daily transport and it gets filled to the brim very fast during peak times of the day. Once you get to the bottom, walk near the freeway, toward the city, and you’ll find a bunch of food carts around the corner and even a beer garden – in true Portland fashion! Located in the Southeast of Portland, Mt. 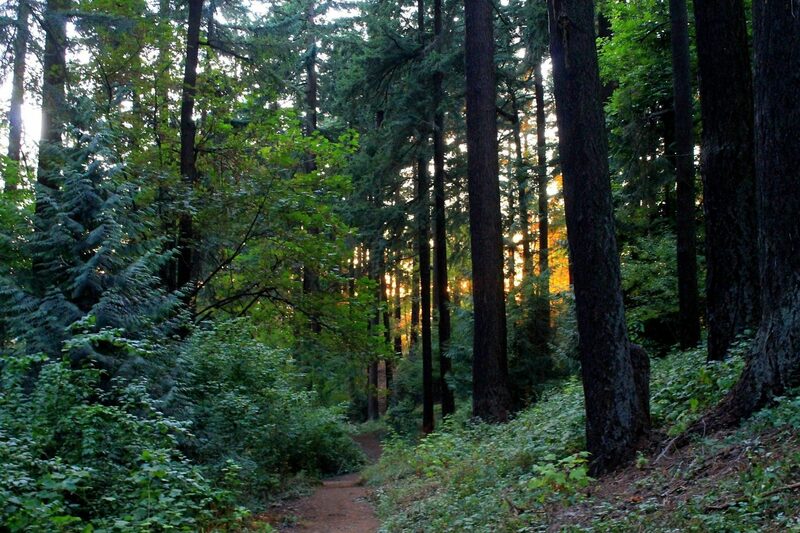 Tabor Park is a wilderness getaway just a bike or bus ride away from the city center. 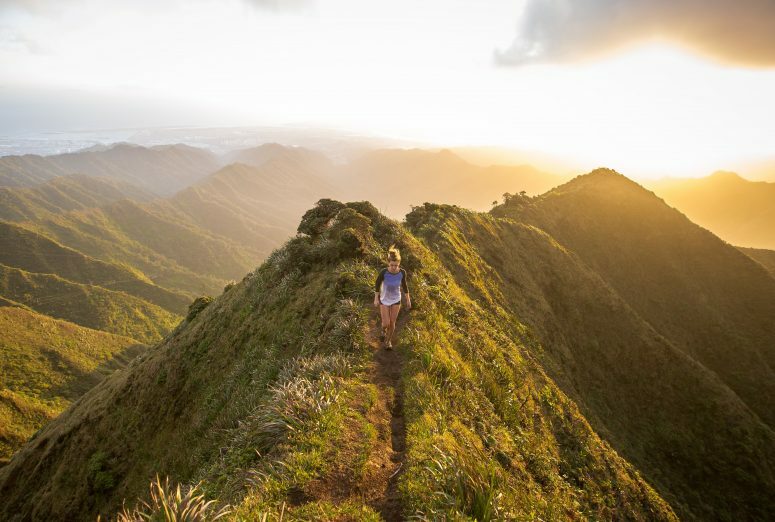 This is an ideal place to get lost in nature without straying too far from the city, and the top lookout is also considered one of the best places to watch the sunrise in Portland. Mt. Tabor Park sits atop an extinct volcano and it’s the perfect place to spend the afternoon with that new paperback you bought from Powell’s. There are multiple hiking trails, picnic benches, and plenty of grassy knolls to lay out on to enjoy the passing sunshine on a nice day in Portland. These are the deals every visitor (and local) should know about in Portland, to see the city on the cheap when you can! This Portland Art Museum offers free admission to anyone under the age of 17 every day, but for those of us a bit older we can get free admission on the first Thursday of every month from 5:00pm to 8:00pm. Admission to OMSI is only $2 on the first Sunday of every month. 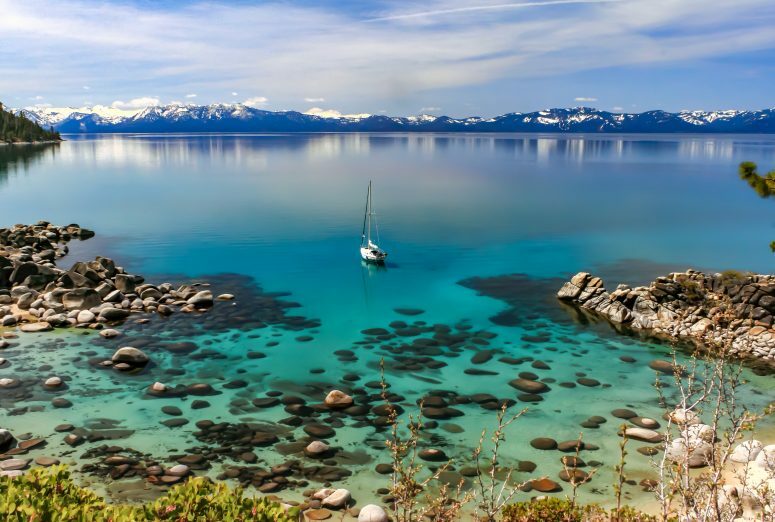 Submarine tours and theater and planetarium shows are all reduced in price that day as well. The Portland Children’s Museum offers free admission from 4:00pm to 8:00pm on the first Friday of every month. There is $4 admission to the Oregon Zoo on the second Tuesday of every month. Just beware of the $4.00 – $6.40 fee they charge you for parking. You can take the TriMet MAX light rail train instead to save money. Extra bonus – you get $1.50 off your zoo admission price when you show your TriMet ticket. If you’re a Multnomah County resident and can prove it with a driver’s license, you get free admission to the Oregon Historical Society year round. 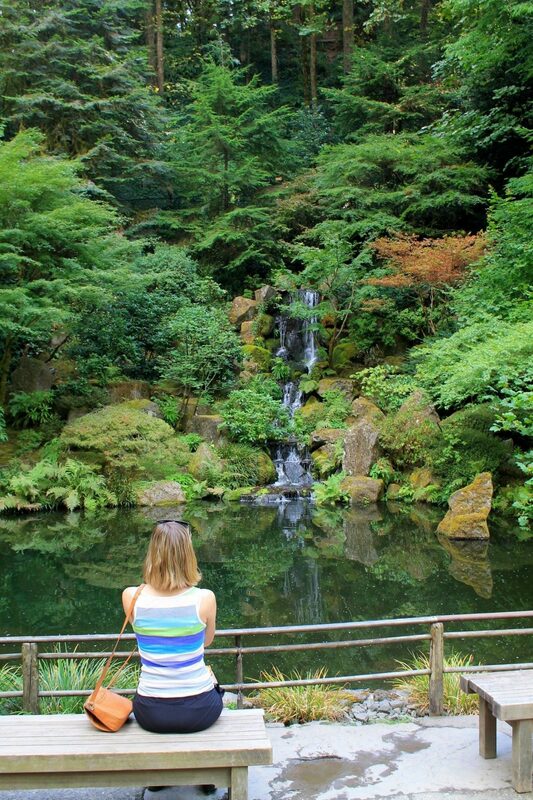 If you’re a plebeian like the rest of us, there’s generally a free day every year if you look on their website. .
Free admission to the Japanese Garden in Portland is usually offered every Veteran’s Day and President’s day. 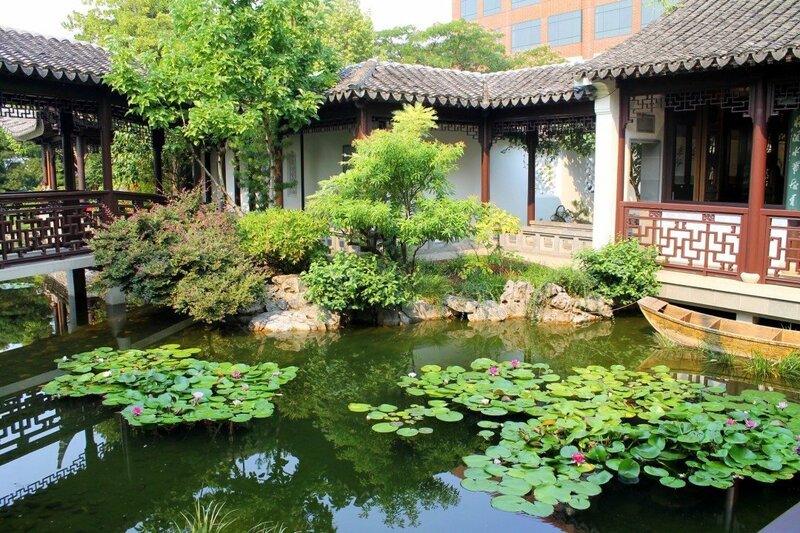 If you have a Bank of America or Merrill Lynch credit, debit, or bank card, you can show your card for free admission to the Lan Su Chinese Garden on the first full Saturday/Sunday weekend of the month. If you don’t have an account at those banks, you can still generally get free admission during the first week of the year by donating a non-perishable food item in support of the Oregon Food Bank for each admission. I hope you get to enjoy my picks for the more affordable options around Portland, Oregon! Portland is a more expensive city than I originally thought it would be, but you can definitely do it on the cheap if you know where to find the right deals. Find out what to pack for Winter Day Hikes in the Pacific Northwest. Buy your Pacific Northwest Travel Guide here. Pin this image for future reference by clicking on the top right hand corner. 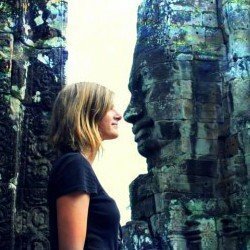 Yes, Portland is definitely a unique spot! The waterfalls have to be one of my favorite parts of the Pacific Northwest.